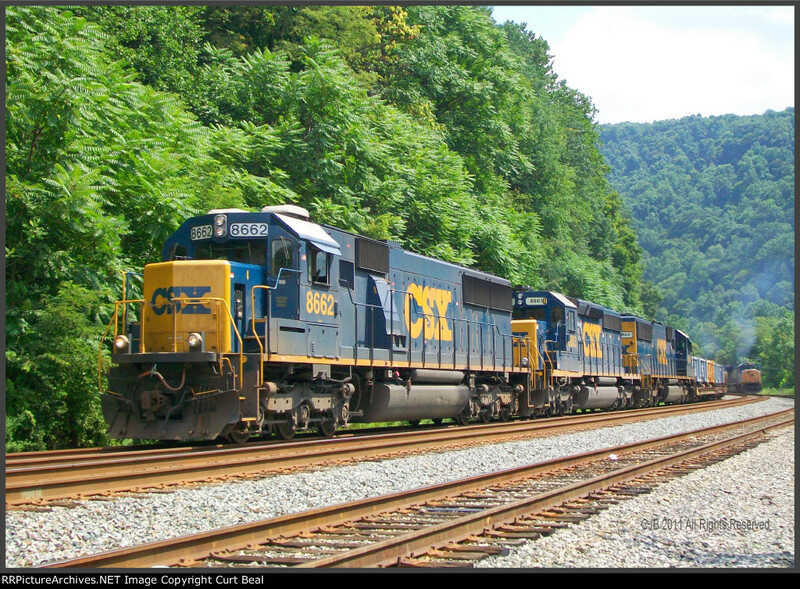 A long X359 freight train with an all EMD lashup, going west near the Bluestone area of South Connellsville. In the background you can see the rear help on a coal train going the other way. All thrree of these are former Conrails.